Once, India has a large number of princely states ruled by royal families of the respective state. After India’s independence, all princely states joined the union of India to form world’s largest democracy. However, most of royal families keep their royal palaces as it as to preserve the heritage. A few royal palaces converted into heritage hotels for tourists. In this article, Traveljee has compiled a list of the most beautiful royal palaces in India. 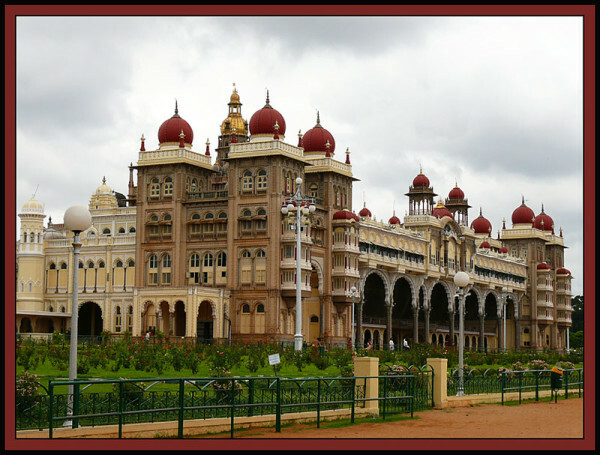 Mysore Royal Palace or Amba Vilas Palace is one of the most beautiful royal palaces in India. It is the official residence of the Royal Family of Mysore i.e. Wodeyars dynasty. 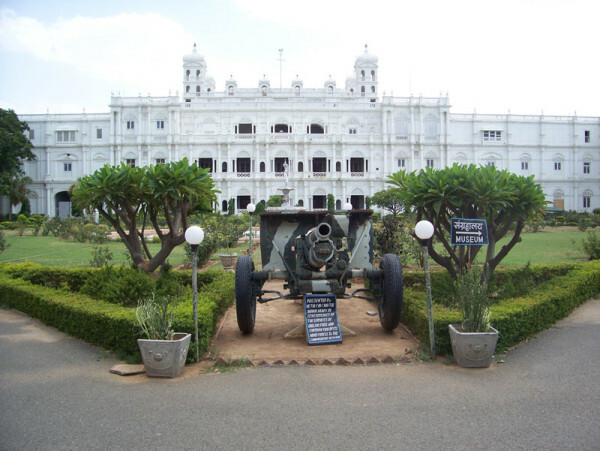 Mysore is also widely popular as the ‘City of Palaces’ for having a good number of royal palaces. The Mysore Royal Palace is also known as the Amba Vilas Palace, the main palace of the royal family. Its construction was started in 1897 and completed in 1912. Later on, the royal family has commissioned the British architect Henry Irwin to extend the palace. Laxmi Vilas Palace, Baroda is one of the biggest palaces in the world. The royal palace is four times larger than the Buckingham Palace, England. It has a rich interior design as well as beautiful architecture. It is the official residence of the Baroda Royal Family i.e. Gaekwad dynasty. It is considered as one of the most beautiful and largest royal palaces in Gujarat. The Lake Palace, Udaipur is one of the most beautiful palaces in Rajasthan. It was built by the Maharana Jagat Singh II, who was the 62th king of the Mewar dynasty. 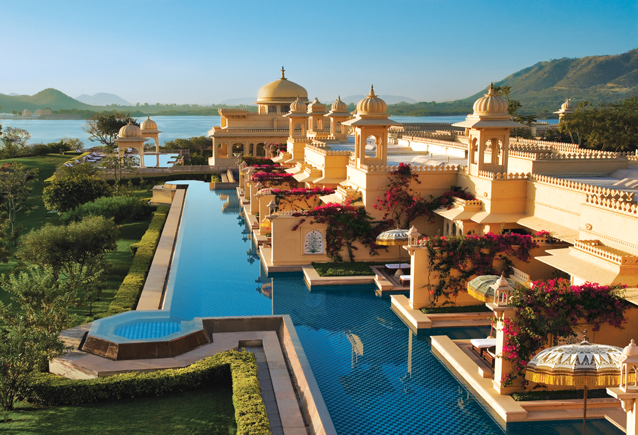 The palace was built on the Lake Pichola’s natural foundation of 4 acres which is the natural island in the Udaipur. It is one of the most romantic hotels in India due to its attractive location, best facilities and architecture. 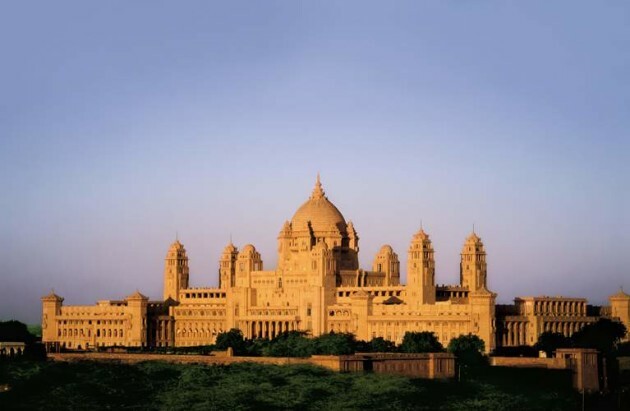 Umaid Bhawan Palace is one of the largest private residents in the world. The palace is owned by the Royal Family of Jodhpur. The construction of palace started on 18th November, 1929 and completed in 1943. Some portion of the royal palace is now converted into the heritage hotel, managed by the Taj Group. It is one of the most beautiful royal palaces in India. Hawa Mahal is a widely popular royal palace, thanks to its construction style. Hawa Mahal literally means ‘Palace of Winds’. 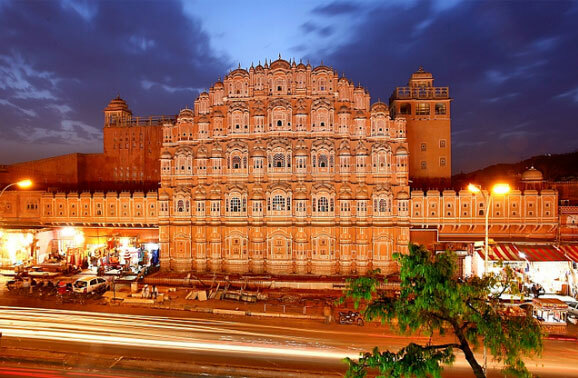 The palace is located in the beautiful city Jaipur. The palace was built in 1799 by the Maharaja Sawai Pratap Singh ji. It is now one of the most popular tourist attractions in Jaipur. Once, Gwalior was one of the largest princely states in India. Jai Vilas Palace was the official residence of the ruling king in the princely era. Now, it is one of the most popular royal palaces in India. The palace was built in 1874 by the Maharaja Jayajirao Scindia of Gwalior. Right now, palace is the official residence of the Royal Family of Gwalior. The City Palace of Jaipur includes not only a single palace, but two main palaces which are Chandra Mahal (Palace) and Mubarak Mahal including other buildings as well. The City Palace is also known as complex of historical buildings and palaces. The palaces were built by the Maharaja Sawai Jai Singh II initially. Later on, successive Maharaja extended the palaces with decoration, interior design and luxury. 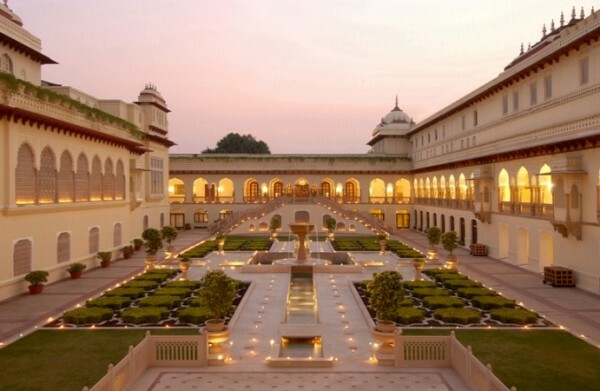 Rambagh Palace Hotel is one of the most popular and beautiful royal palaces in India. The palace hotel is rated one of the finest heritage hotels in the world. The palace hotel is managed by the Taj Hotels Group, which is a part of Tata Enterprises. The heritage hotel is also considered as one of the most expensive hotels in India. Udai Vilas Palace is one of the prestigious heritage hotels in Udaipur, managed by the Oberoi Hotels Group. It is situated in the heart of Udaipur i.e. Haridasji Ki Magri. 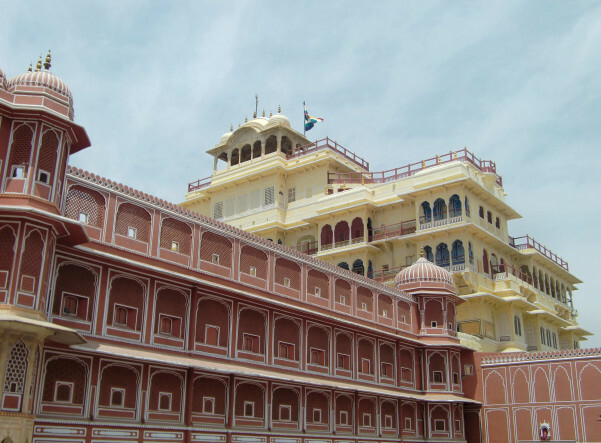 It is also one of the most beautiful royal heritage hotels in Rajasthan. It is also one of the most luxurious hotels in the country. Ranjit Vilas Palace is one of the most beautiful palaces in Gujarat. The palace was built by the Maharaja Amarsinhji and named after (Jamnagar) Navanagar’s Maharaja Jam Ranjitsinhji. The palace used Italian marble, and European architecture to make one of the finest palaces in the world. Note: A few heritage royal palaces in India converted into heritage hotels. However, remaining royal palaces are still residence of royal families. A few royal palaces needs prior permission for visit. Only a very handful royal palaces in India do not allow visitors to visit their royal palaces. Article last re-published on August 28, 2018. I have seen Umaid bhavan palace, Jai vilas palace and City palace of Jaipur and For heritage and for royal history of India,my favourite is City palace because it takes you more than 2.5 hour to see one and every complex of palace. Very nice and wonderful architecture. How are the former kings and queen coping with the loss of their principalities? Thats a nice information.. Looks like “City Palace, Udaipur” seems to be missed. Thanks… the information you provide above with beautiful pictures of palaces with valuable facts regarding them was just great!